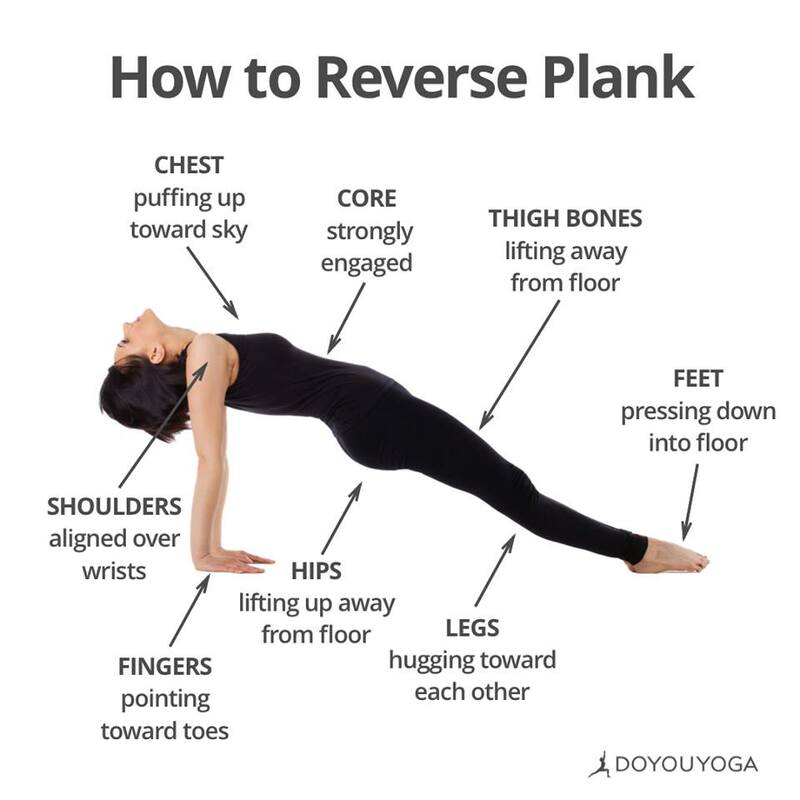 This exercise is Reverse Plank. We all know how hard is to lose fat around the belly. That why so important to do planks, when you are exercising. Because planks are good for glutes, back and more important – belly. Also, don`t forget to do simple aerobics exercises or walking every day. So here how to do Reverse Plank. The most important thing in this exercise is to keep a proper form. You can make more challenging this exercise by wearing a weighted vest. If you haven`t you can simply use one leg, instead of two. Sit on the floor with your legs out in front of you and your back straight. Lean back so that your back is at a 45-degree angle with the floor. Place your hands by your side, with your palms spread wide and your arms aligned with your shoulders and slightly behind your hips. Supporting your weight on your hands and heels, lift your hips so that your body is straight, with your glutes and core tight. You might find it helpful to visualize your belly button being sucked in towards your spine. Hold the position for 15-30 seconds as you look towards the ceiling. Slowly lower yourself back to the original position. Once you hit the ground, lift again. Repeat 10-15 times. 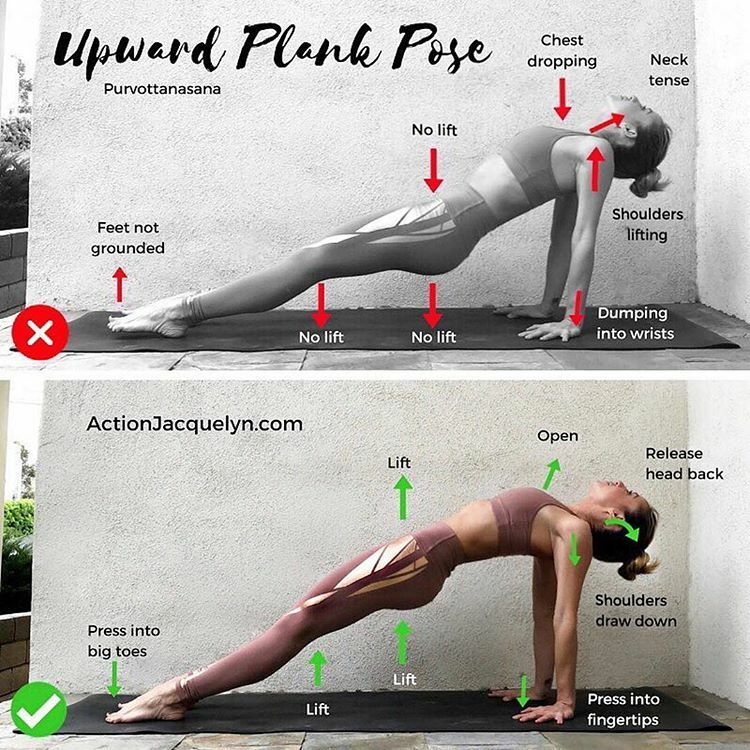 If you wish, follow up with 30-60 seconds of the traditional plank.